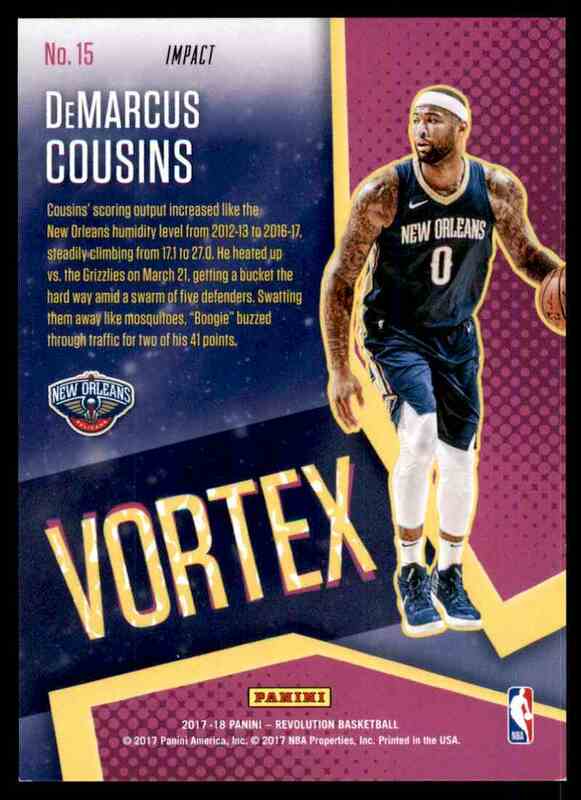 This is a Basketball trading card of DeMarcus Cousins, New Orleans Pelicans. 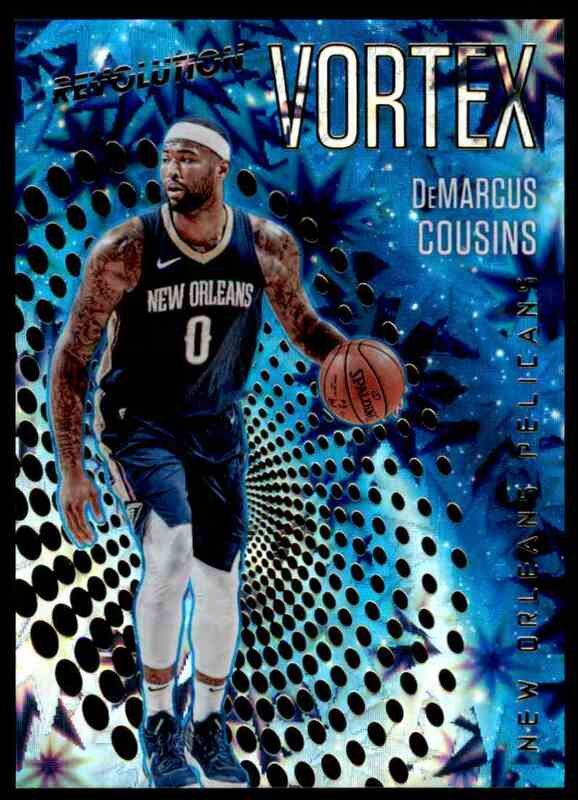 It comes from the 2017-18 Panini Revolution set, card number 15. Vortex Impact. It is for sale at a price of $ .99.